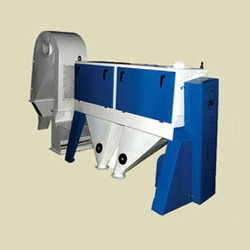 In order to meet huge market demands, we are involved in offering unmatchable quality of Scourer Intensive Machine. The offered Scourer Intensive Machine is extensively used for separation of small stones from the grain in dry process and in food processing units to separate impurities. Acclaimed for cost efficiency, we offer Stainless Steel Scourer. Available in varied shapes, specifications and sizes, it is used for numerous industrial purposes. Professionally approved, it is quality and durability assured. - 1. To remove dirt and husk adhering to the grains. - 2. Gentle scouring action. 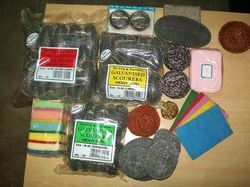 We are instrumental in offering a broad range of Intensive Scourer. It Is Used For Scouring Of Wheat By Which We Remove Outer Layer Of The Wheat And Also Soft Mud Stones Which Comes Along With Wheat and To Remove Light Impurities By Air Aspiration. The offered scourer is strictly tested under the vigilance of our quality controllers to ensure quality of our offered products.